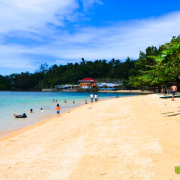 The Poblacion of Cabucgayan is in Biliran Island along the coast of Carigara Bay, now with a population of nearly 20,000 inhabitants. The first settlers, who founded Cabucgayan were Fulgencio, Cesario, Anselmo and Lonrequito , all bearing surname Cordeta, from the Poblacion of Biliran, Toribio Dematawaran, Inocentes Perol and Marquez Maala from the Poblacion af Barugo, Leyte. 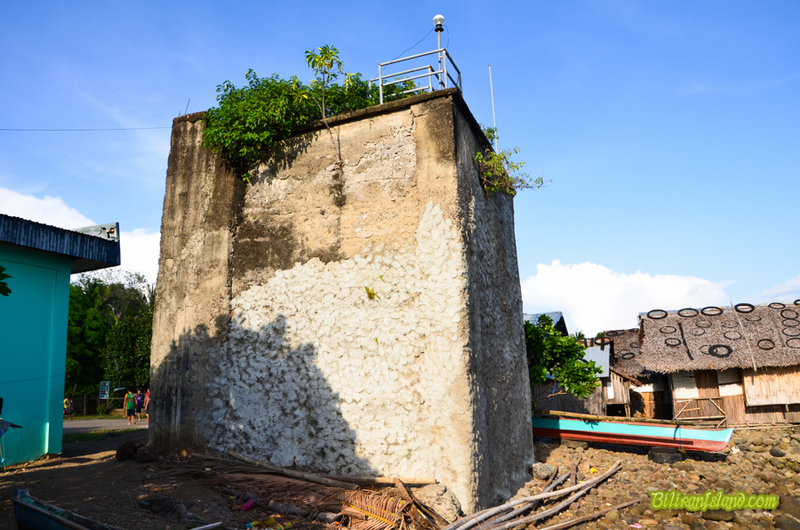 These persons were responsible in the erection of the Tower, which shaltered and protected from their enemies, the Moro pirates, in the year 1850, and the tower is still seen in front of the old chuch, along the coast of Cabucgayan. These pioneers, called the place Ezperanza. They produced abundant rice, corn, abaca and other root crops, which lured many family immigration from the neighboring municipalities and settled permanently in Ezperanza. Commerce in the village progressed and a brach of Casa Warner, and English Firm, was established under the management of Don Pascual Casaos. Under the leadership of Miguel Cordeta, they approached the Provincia; Governor of Leyte, then General Ambrocio Mojica, for a Municipal Government. General Mojica granted them from their request, under the name of Gobierno Municipal de Esperansa. The Municipal officials were: Miguel Cordeta, as Jefe Local; Luciano Oledan as Teniente Mayor; Macario De Lara, as Delegado Justicia; Vicente Cordeta, as Delegado de Rentas; Escolastico Palconit, as Delegado de Policia. The Municipal Government of Esperanza lasted until the end of the war, between the United States and Spain. The American Government recognized the municipal government of Esperanza. 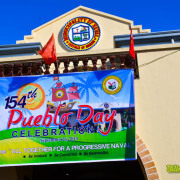 When the civil government was established in the Philippines, another move was organized by the local leaders and petitioned the Executive Secretary of the Civil Government, the continuation of the Municipal Government of Esperanza, but the name of Esperanza be changed to Cabucgayan, as a symbol of shells that were found abundantly in the River called Bucgay. The Municipal Officials of Cabucgayan, as approved by the civil government were: Tarcelo Sulla, as Presidente Municipal; Pastor Mendoza, as vice Presidente; Felix de Lara, as Tresorer Municipal; Pastor Mendoza,as Juesde Paz, ex-officio; Pedro Roldan, as Juez de Paz Auxiller. Consejales: Francisco Dematawaran, Escolastico Paconit, Felix Dadizon, Placido Pelen, Estanislaao Igano and Calixto Mendoza. Due to Pulahan warfae against the American and inhabitant and that many inhabitants were killed by the Pulahan around the Island of Biliran, the Civil Government stopped the operation of the Municipal Government of Cabucgayan in the year 1904 and Cabucgayan was annexed to the Caibiran and Biliran was annexed to Municipality of Naval. 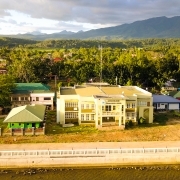 In the year 1910, Biliran again granted her municipal government and Cabucgayan was transferred to Biliran from Caibiran. 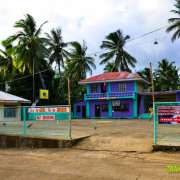 Due to political harassment, the people of Cabucgayan formed a Commission to petition the National Government, to grant the Municipal Government of Cabucgayan,in the year 1915. Hundreds of moneys were spent. Carabao and Sampana were sent to Tacloban as regalo, but in vain. The move failed to political sharks. In October 1948, another attempt was created by Mr. Filemon Badoria, and the Macabugwas society was born, with the following officials: Mr. Teodoro Cordeta as President; Mr. Lorenzo Cordeta Sr., as Vice President; Mr.Domingo Lipango Sr., as Treasurer; Mr. Daniel Penas as Secretary; and Members of the Board: Mr. Eusebio Juntilla, Mr. Cornelio Lenante; Mr. Simforoso Cordeta; Mr. Luciano Mendoza; and Mr. Arcadio Lebajo. Mr. Dionisio Badoria, as Second Honorary President. Fearing the political venture of the Macabugwas society shall also the futile, the Macabugawas secretary, changed the method of sending political resolutions. The sending of our polical petition for municipal independence, were not sent thru channeld, but sent directly to the President of the Philippine. President Elpidio Quirino, to the Honorable Secretary interior, to the Senate President, Hon, Jose Avelino, to the Speaker, House of Representatives, Hon. Eugenio Perez, to our advocates Senator Carlos S. Tan and to Mr. Felix Badoria. A mission was sent to Manila, headed by Mr. Primo B. Cordeta Sr., and assisted by Mr. Luciano Mendoza and with the financial help at Manila Mr. Filemon Badoria. As the Macabugwas Society was short of fund, the two members of the mission were satisfied of fifty pesos cash, for their pocket money and expenses. The rest, were shouldered by Mr. Filomon Badoria. By the Magnetic personality Mr. Primo B. Cordeta, Sr. , He was able to secure the sincere help and cooperation of the Finance Secretary, Hon. Pio Pedrosa, and also the Secretary of Interior, Hon. Sotero Baluyot. Thru recommendation of the Honorable, Secretary of the Interior for the approval of the petition fot Municipal Independence from the municipality of Biliran, His excellency President Elpidio Quirino, upon Executive Order No. 271, on September 29, 1949, approaved our Municipal Independence to Function on November 25, 1949. 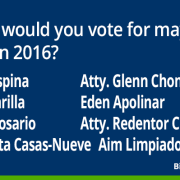 Whom would you vote for mayor of Naval in 2016?